Church 2819 is a new and growing ministry in the North side of Jacksonville, FL, lead by Pastor Marvelle Cook. 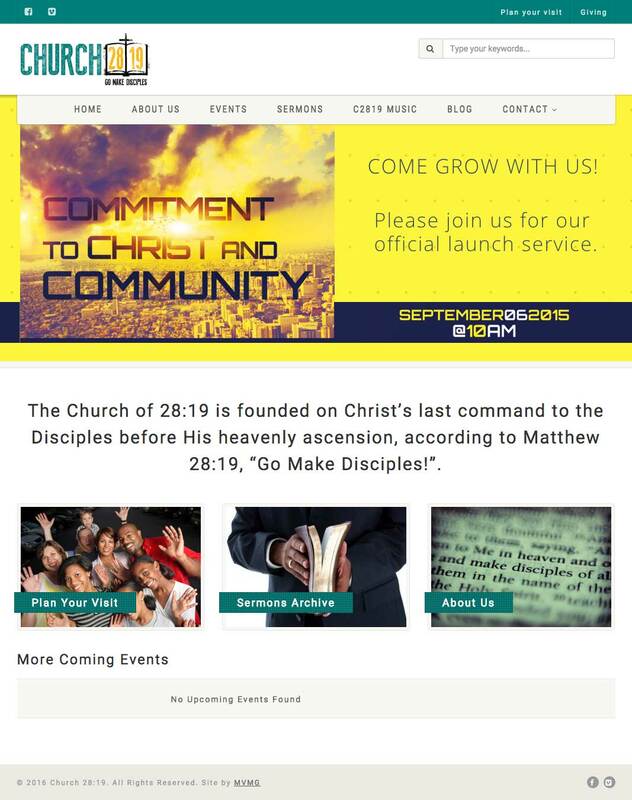 We partnered with Church 2819 to help provide them with a website that could manage their events, sermons, media, and provide a content platform to speak to their audience. We created a beautiful mobile responsive church website to do just that.